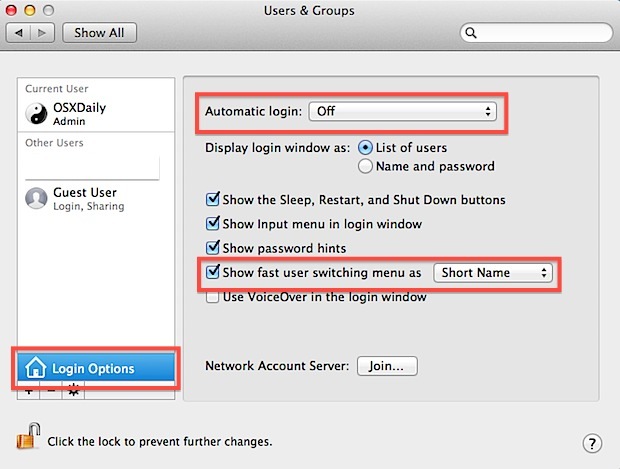 The Mac includes an optional Guest User account which is perfect for temporary usage situations like letting your friend or family quickly check their Facebook account and email from your computer. This is great because the Guest Login can be active while your normal user account is too, meaning you can quickly hand off your Mac to let someone check their email in Guest mode, then return to your work without any of it changing or being accessed by the other person. 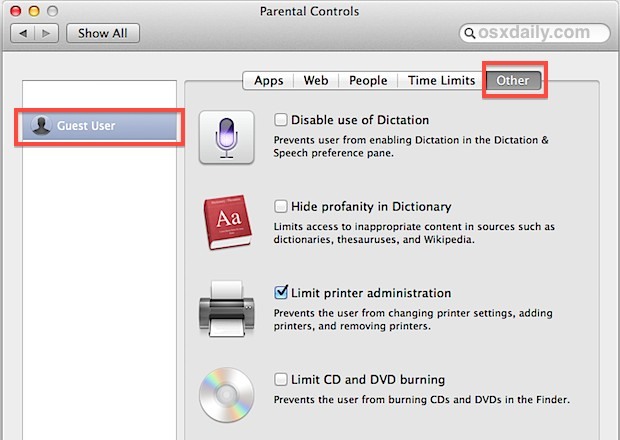 Though you can disable it, it’s best to leave enabled on all Macs, not only for the aforementioned temporary use scenarios, but also to be able to track the Mac if it’s lost or stolen by using Find My Mac. We’ll focus on setting up the Guest User account for short usage by your friends and family, the most likely scenario. These are all positive limitations. The lack of storage means temporary usage files and caches won’t take up unnecessary space on the Mac. Not requiring the guest password means it’ll always be easy to login to, plus Find My Mac will track the computer if it becomes lost or stolen. Finally, application and web restrictions are great if you want to keep the Guest account to something like web mail use, because it’s easy to block everything else. If this is too limited and you’re hoping to setup a more full featured guest login that doesn’t have those restrictions or doesn’t toss out files and caches, you may want to consider just adding a complete new user account to the Mac instead. Let’s assume all is good, so we’ll configure the guest login, make it available quickly through a menu item, and then implement some basic usage restrictions. Now that Guest is enabled, let’s make it easy to get to and from with Fast User Switching. You can choose “Full Name” too but unless your full name is pretty short, taking up so much space in the menubar with a name has never made much sense. The reason Automatic Login goes off is so that if the computer was stolen or misplaced, a reboot will not automatically login to any user account. 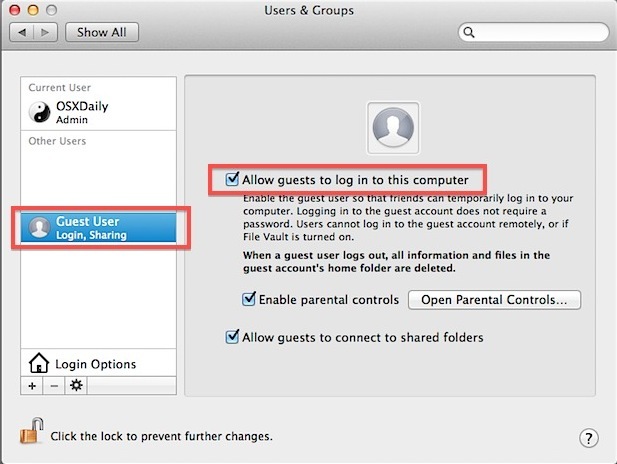 This then lets someone choose the “Guest” account that doesn’t require a password, which then opens the Mac up to be found and tracked on a map with Find My Mac, the desktop version of Find My iPhone, and yes, either iOS or Macs can be tracked and discovered from one another. With the Fast User Switching menu enabled, you’ll now see something like this in the corner. Pull that down and you can now instantly access the Guest account. You might want to try out the Guest account yourself, pull down the User menu you enabled and switch over to “Guest” and you can test out the experience. Remember, don’t bother to make any changes or adjustments once in the Guest account, because the whole account is ephemeral and nothing is saved. This is why the Fast User Switching menu is great, fast access, plus it will keep your current account logged in, with all of your apps, windows, documents, everything still active, while simultaneously allowing the guest user to login into a separate area. Don’t worry about doing this, the Guest User has no access to your session, your documents, or your private data. Now, if only iOS had the same feature… but until then the only option on the mobile side is to use Kid Mode for iPhones, iPads, and iPod touches, which locks a single specific app onto screen instead. Never really thought about it until now but usually I just open a new web browser window for someone… this is a much better idea! It’s too bad that it doesn’t work with FileVault though. I love the convenience of the gust account, but refuse to give up the security of FileVault. You can enable auto login for the guest account only. This way, if a stolen mac is rebooted it will automatically go to the guest account. This means that you have a better chance of find my mac to work. Booting to the login screen means that they have to try the guest account to get in, help people’s lazy side! If you want to be a little paranoid you can set your admin account to have an ID below 500 which will prevent it from being listed in the fast user switch menu or log in screen. 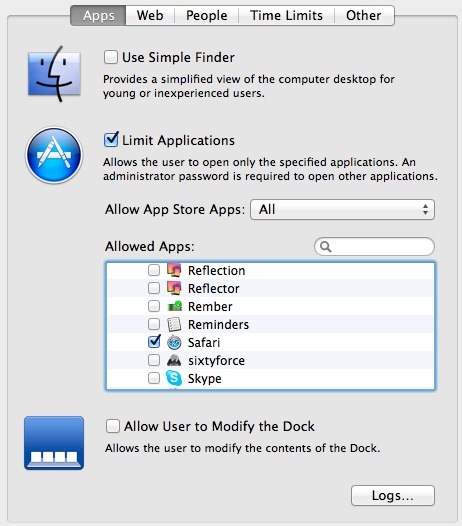 Then in system preferences select “Display login window as: Name and Password” this will allow you to log in as the admin from the log in screen.
? If you want the laptop to be trackable in the event of it being stolen, surely automatically logging into the guest account is a good thing, no? 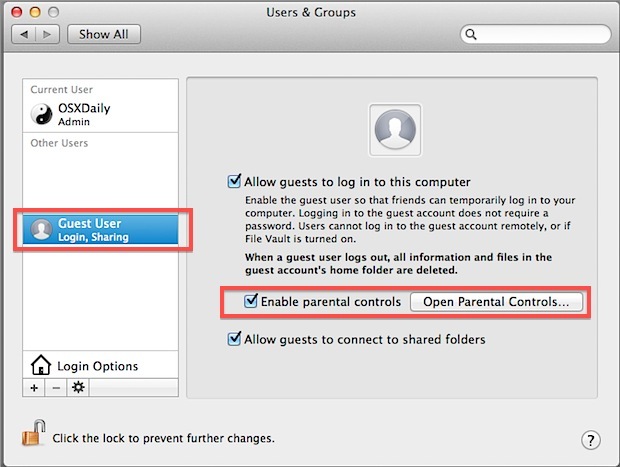 There is one other security consideration; Guests still have access to the rest of the Mac whilst they are logged in. Access all read only parts of the system, like the apps folder. So they could copy your apps. Also if a regular user has created additional folders inside their Home folder, these will be available. Save files in open areas like the Shared folder or other users Public folders. So they CAN put unwanted or possibly malicious files in your storage. Access any mounted USB or firewire (but not network) devices and have FULL access to them. Personally, I’ve used Guest access a few times, but I don’t leave it turned on constantly. WRT Find My Mac, once you send a lock command, it will automatically reboot and allow guest access the next time it goes on the internet. Good tip but I’d only set up the Guest account when you need it. Once a Guest account has been activated it uses up system resources. I viewed Activity Monitor after I activated a Guest account on my iMac and “Guest” was using the needed resources (like any would of course). So I logged out of and deactivated the Guest account. You can have the Guest Account active and usable without having it be logged in, but you do raise a good point. Always log out of the Guest Account when someone is finished with it. Is their anyway that the Guest Account would enable its self automatically such as reseting the Mac or updating the software? Just not sure since mine was recently enabled and don’t know why. Yes it is possible at times. One of the most common causes tends to be updating to more recent software so if you have done this in past it is more then likely the Guest Account will be enabled. how can i disable the guest user account? I’ve tried but for some reason it won’t allow me to select the account so i can disable. Am i missing something? Not even a few days with the iMac and I’m still confused. Thanks for your help. How can you restrict your documents to prevent a guest user from accessing them? A guest user can not access any other users documents on the computer, that is one of the reasons why a guest user account is setup. You don’t need to do anything other than allow the guest account. Not true; Guests can search for and see files in other accounts. This troubles me and I don’t know how to restrict their access to only the guest account. Any ideas? Please respond to my email. If I set Up the Guest User Account in Mac OS X described here, does this mean that I need a password for my user admin account? I normally just open my Mac. I don’t use a password. If I set up the guest will I be locked out without a password. If I must set up a password..please tell me how. Confused! Thanks! When my father visits he uses my computer through guest user, and every time we log out it deletes his mail. The Guest user account deletes all activity on the guest account. Create him a standard user account instead if you want his emails and preferences to be saved.